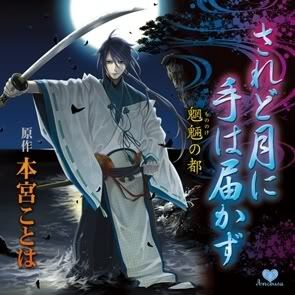 Japan's most powerful police force, the League of Samurai, is a group who maintains peace within Japan. They are normally called by the government who tells them of issues they need to deal with. 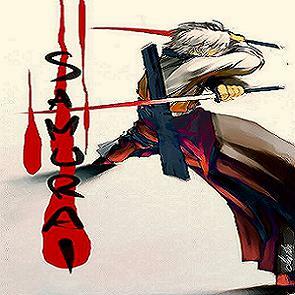 The league is comprised of 7 skillful samurai who surpassed all until the "Swords" were created. Now that these new weapons are being made it is hard to say whether their abilities and skills are still enough to prove to be the mightiest in all Japan. One thing for sure, mightiest or not the League of Samurai will not stop striving to issue peace in all of Japan for that is there one and only goal. Sword Art: Slashing the air he makes fast current water waves. Known For: Being the only samurai capable of creating elemental attacks with his weapon during Sword Art mode. Sword Art: Being able to stop a swords movement/strike. Known For: Seducing men flawlessly but killing them once they get truly seduced. 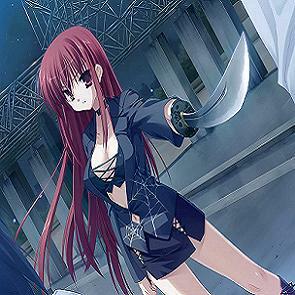 Sword Art: Allowing her to ride one of her earlier attacks to perform a blinding one. Known For:Being able to swiftly barrage run away criminals and also confusing her enemies with her unique Art. Sword Art: Capable of adding clones to the battle. Known For: Fighting exceptionally well against more than one opponent. The more the merrier he always says. Sword Art: Capable of being able to destroy almost anything with just his blades/ Capable of being able to slice through almost anything. Known For: Being able to take on multiple opponents, vast attack power and defensive capabilities, flexibility for his muscular body, and being the only samurai capable of having two Sword Arts. 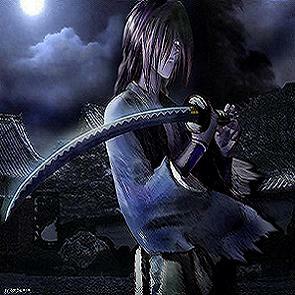 Sword Art: Capable of harming his opponent by attacking their shadow. Sword Style: Capable of becoming his sword. Known For: Discipling those who disrupt peace in Japan, his unmerciful actions, very sleek and smooth attacks which make it hard to believe he's a samurai and not a ninja, being one of the most feared people in Japan next to Sekadai and Sabi. Sword Art: Capable of absorbing any attacks that involve any source of spirit energy, magic, or etc. 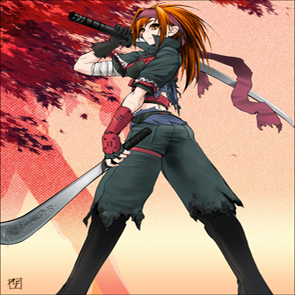 Sword Style: Uses her opponents absorbed energy as her own. Known For: Being the leader of the The League of Samurai, smarts, destroying some of the most terrorizing clans and groups. Affiliation: The League of Samurai leader.